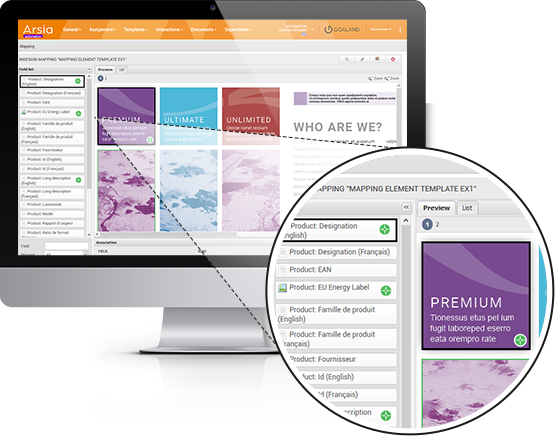 Do you publish your catalogs on time? Do you manage your publications independently? which facilitates the page layout and customized updating of all your print and digital publications, while taking into account the specificities of your product information and the relevant medium. 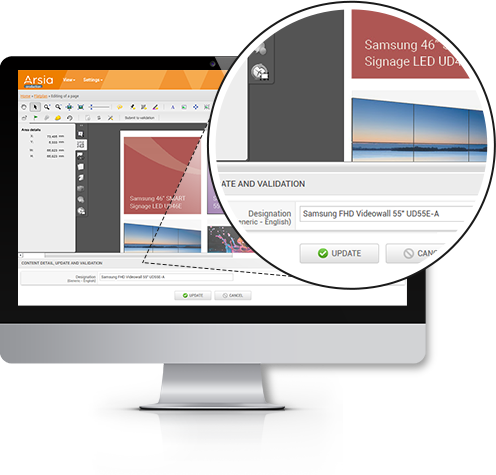 Arsia offers a multiplicity of creative possibilities thanks to Adobe Indesign Server©, the image library (DAM) and the page setting functions that are easy to use without any prior DTP experience, to help you produce attractive layouts in line with your editorial messages. Information enrichment and automated updates synchronized with your e-Commerce platforms, your Information System (ERP, CRM, DAM) and the Alpia PIM to ensure product data consistency in all of your print and digital media. Workflow optimization and automation of validation processes , with comments handled directly on the platform and automatically forwarded to the relevant team members (graphic artist, copywriter, marketing…), import/export functions in the most popular formats (PDF, InDesign, XML, HTML 5 Kiosk …). 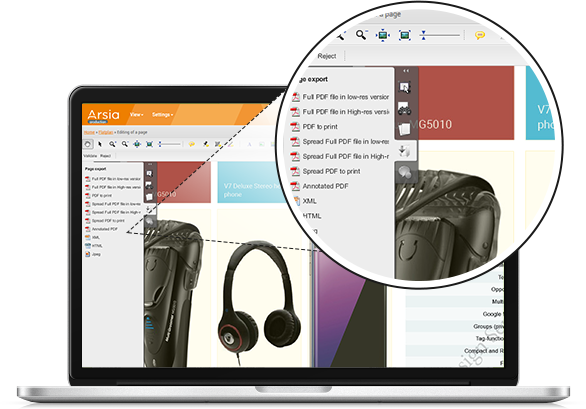 Arsia integrates perfectly with your information system and offers page layout assistance to best present your information in your chosen formatting. 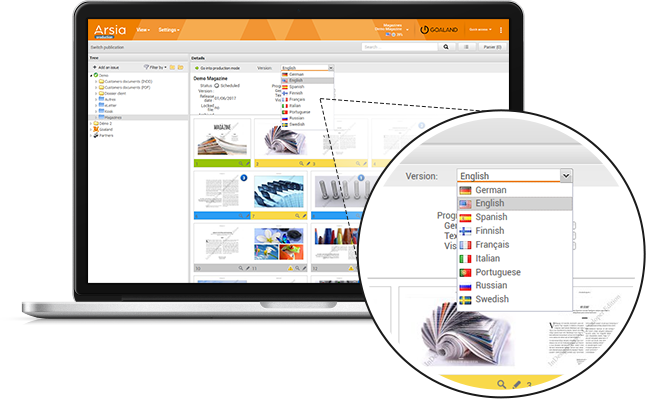 Manage versions translated in different languages , customize according to context and target audience, and publish it all from a single interface. 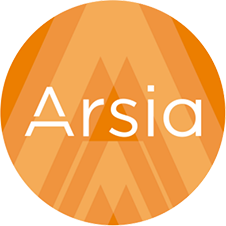 Arsia ’s highly-configurable workflow engine facilitates interactions among your publishing team members (agency, designers, marketing, etc.). Synchronize information and redefine workflows, facilitate and ensure security in updating, enhancing and processing of your product data for all of your print and digital publications. Optimize the collection of your product information (photos, texts, prices) and define your own workflows, combining consistency of information and specific character of each medium . 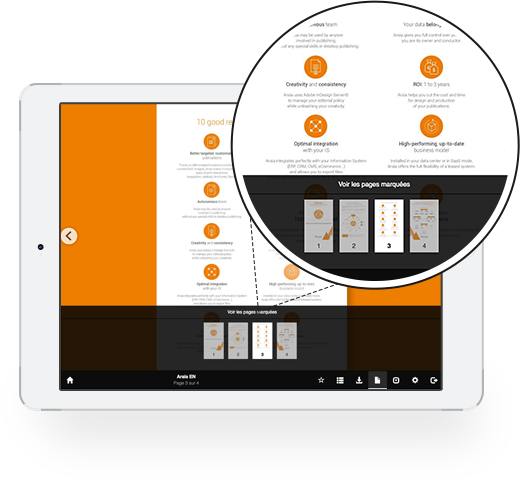 Manage your digital publications with a dedicated tool designed for tablets and smartphones. 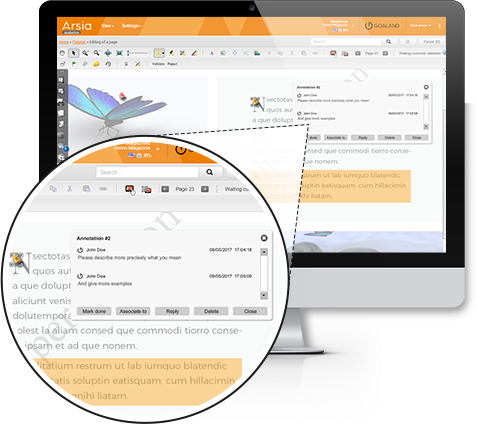 With Arsia, publish more , publish better , and in full autonomy!